Last year, Kim Holloway and Corina Dalzell found themselves discussing the difficult financial realities of being a professional dancer in Seattle. Holloway pointed out that “it’s not affordable to be a dancer: not getting paid, [while paying] $15 or more for class three times a week to keep in shape.” Especially since, Dalzell adds, when currently working toward performing in a project, many dancers take a break from their main income sources to focus on rehearsals. 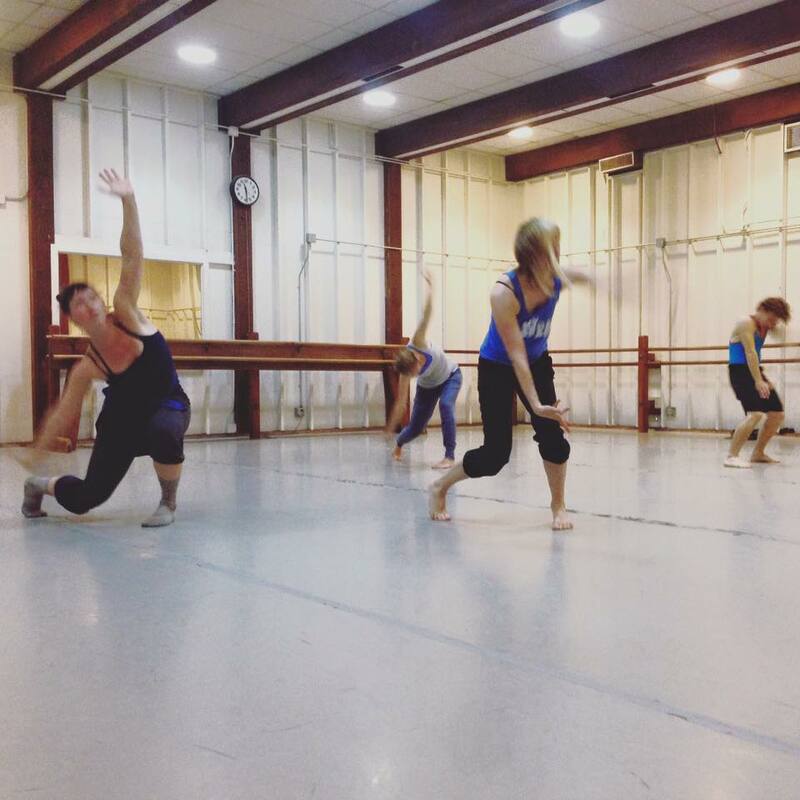 After pondering the idea a bit more, they decided to create their own affordable option for class and teamed up with fellow dancer Hayley Shannon, who had access to free studio space at The School of Spectrum Dance Theater. About a year after their original conversation, the trio launched Class Exchange, a weekly dance class that offers a cost-effective way for professional dancers to supplement their training through an ongoing peer teaching experiment. 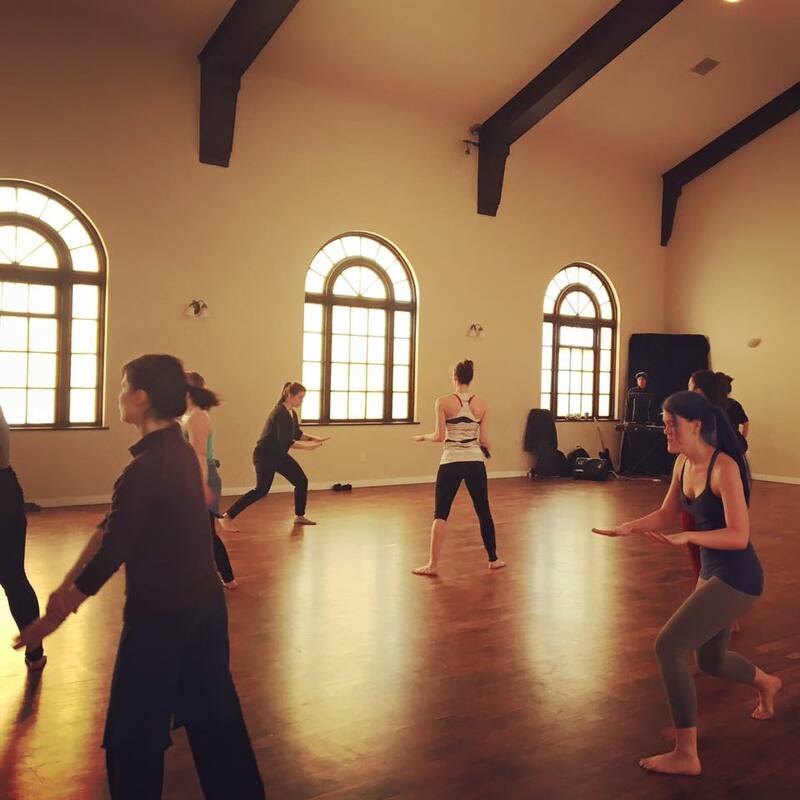 Class Exchange evolved into a peer-taught, professional-level modern, contemporary, ballet, and improvised dance class series meeting every Monday from 10-11:30 AM. The three founders decided to ask for donations on a sliding scale of $3-5 for anyone to drop in and take class from a rotating lineup of working professional performers in the local community. “I think we were all a little shocked at the resounding ‘YES!’ response when we asked dancers and teachers to participate, especially from teachers who are well known in the city. It’s encouraging,” Shannon added via email. This past Monday was the first week someone from out of town had found the class online and come to check it out, expanding this network beyond Dalzell’s, Holloway’s, and Shannon’s connections in the local Seattle scene. To divide the workload of keeping Class Exchange up and running, Dalzell maintains the Facebook group while Shannon and Holloway schedule different teachers for each week, usually about three to four months in advance. One of the most gratifying outcomes the organizers have seen is watching new teachers gain more experience and grow in their teaching practice, which class attendees can then see as teachers return with new ideas and increased confidence. 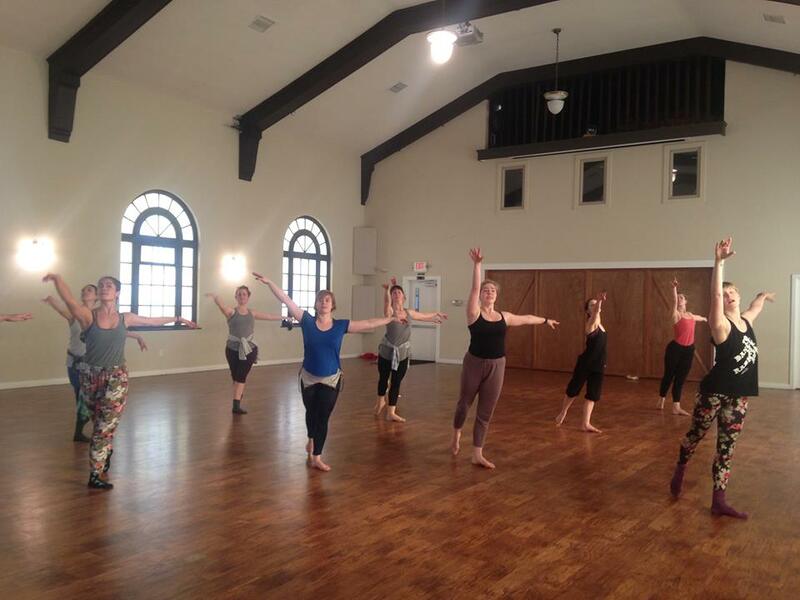 Although they have been approached by several established teachers, the founders want to stick to their core mission statement to “build community and safe spaces for emerging educators via peer learning experiences.” Rather than being about the prestige of the teacher, Class Exchange strives to address a need in the community, offering a grassroots, low stakes space to share dance practice for dancers and teachers alike. Dalzell, Holloway, and Shannon would like to thank Spectrum Dance Theater and the Fremont Abbey Arts Center for their support. For more information about Class Exchange or to connect on Facebook, please visit HERE.